Here's a new addition to my creation's list I nicknamed this one as ponpom bracelet. 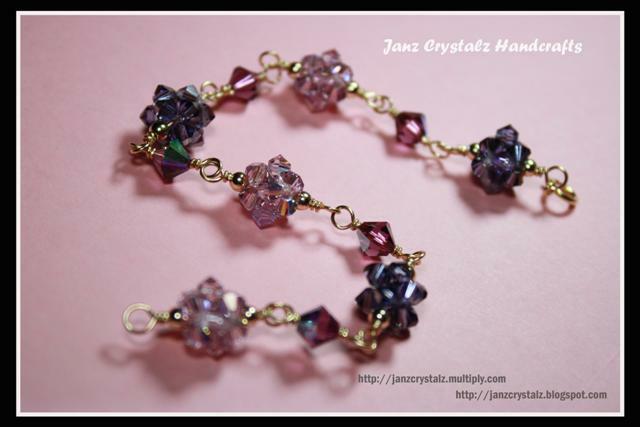 This item is made with 4mm bicone swarovski crystals bead together to form a ponpom balls. I strung the bracelet using 14k gold filled wires and added few 6mm bicone crystals to add effect. You can order the same item with different color just contact me..
Code for thi item is JCB-48.